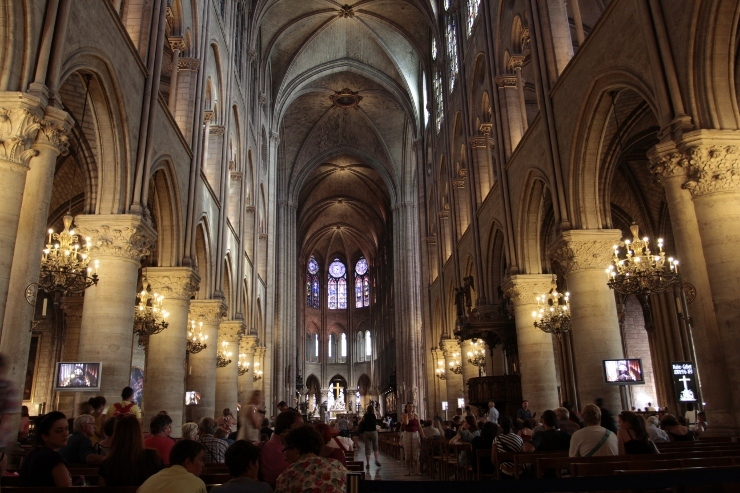 A heat wave this Summer of 2012, in Paris, sent many into the cool interior of Notre Dame Cathedral for a magnificent (and quite cool) respite. This entry was posted in Europe, London and Paris 2012, Travel Photos and tagged Canon 7D, Canon EF 17-40mm f/4L, heat wave, Notre Dame, Notre-Dame Cathedral, Paris, respite, Summer, Summer 2012, wide-angle. Bookmark the permalink.